After a period of cloudy and rainy weather, clear skies returned to the Chicago area skies this evening. 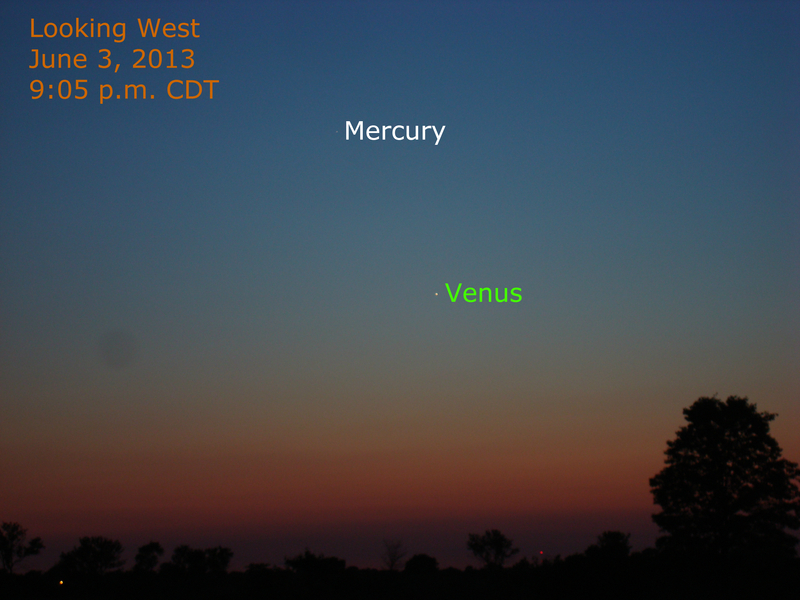 Shortly after sunset, brilliant Venus and Mercury appeared as shown in the above image made at 9:05 p.m. CDT. (Click the image to see it larger.) Jupiter has disappeared into the sun’s glare as it heads toward solar conjunction later this month. 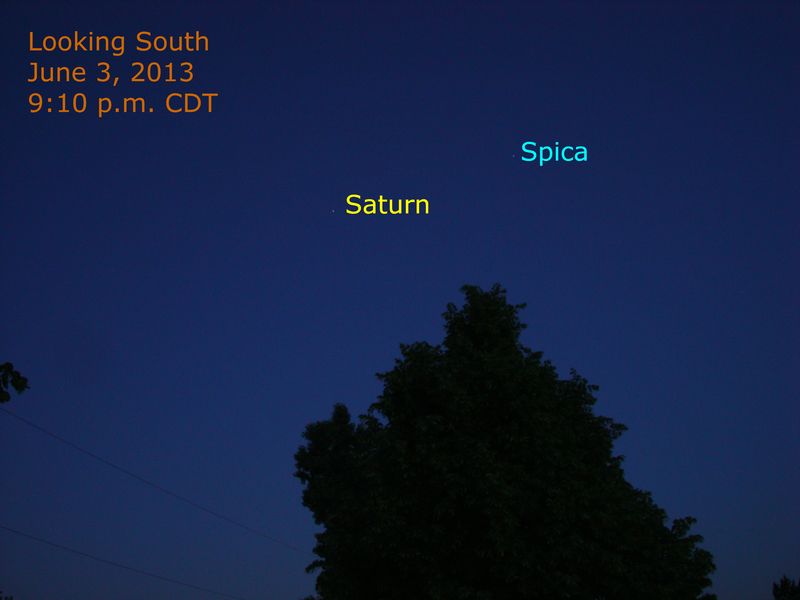 For more about the grouping of Mercury, Venus and Jupiter, see our monthly skywatching article. For more about Venus as an evening star, see our detailed explanation of this evening appearance this year.